~ Life as a passport, one stamp at a time. 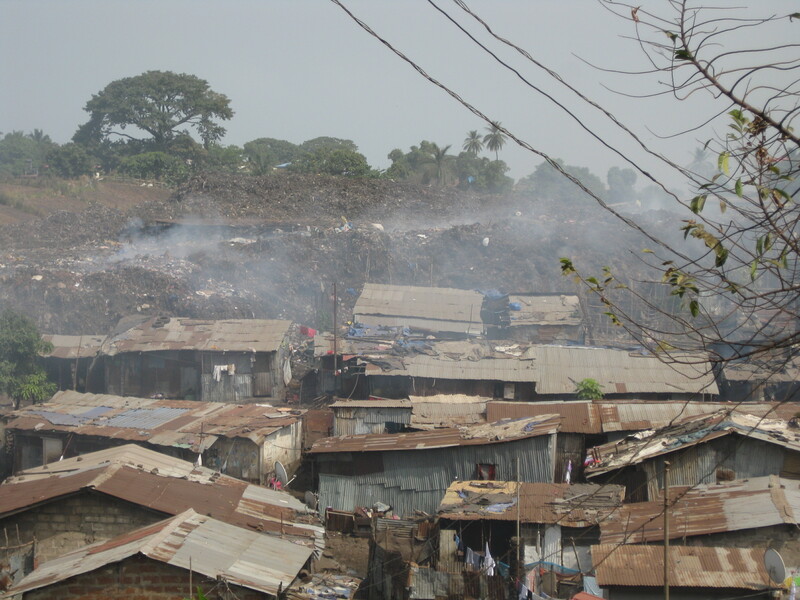 Slums of Freetown, Sierra Leone. Mass graves were dug here during the 2015 Ebola outbreak. My flights went without incident and despite being very tired indeed – I landed in Freetown on a hot and humid Sunday night. Having sat next to a very friendly native Sierra Leonean, I felt confident that I would have some help navigating immigration and transport on arrival despite being exhausted. We exited the aircraft and that familiar blast of heat hit me full on and I breathed in the heady scents of Africa once more. The airport was as expected – long lines and packed to the gills with people shouting for their bags. The airport in Freetown is rather curious in that it was built on an island – a ferry or water taxi ride away from the mainland. Having gotten my bags onto the shuttle that would take me to the water taxi, I was already full of joy and contentment to see that the waiting area was a bar looking out across the palm-fringed ocean and I immediately ordered a beer to “hurry up and wait”. I started chatting with a Finnish Unicef worker who was visiting Sierra Leone to help set up a clinic in the rural north, and another American who was here visiting family. The latter later claimed to be the niece of the president of the country – and I still have absolutely no idea if she was crazy or if this was really true. She did, in fact, text me the next day on What’s App to meet up for dinner and drinks – but after showing up drunk and with her cousin who seemed very coked out – only stayed to chat for about ten minutes before excusing herself to tend to “family matters”. Very bizarre. The water taxi was a hot 30-minute ride which included a viewing of “Britain’s got Talent”. On arrival at the terminal on the other side, I carefully followed the Dragoman directions to my guest house – the “Raza” and walked the 500 feet in the dark dragging my bags in what has now become the standard crazy, loud and insane oncoming traffic, sweating profusely. I was so happy when I saw the sign for the hotel and having checked in, discovered a basic but acceptably clean room with air conditioning where I could finally unwind. My jet lag was reasonably bad for the next few days. The next morning, I was awoken by the sound of the Dragoman tour truck pulling up and the passengers arriving from the trip I was initially supposed to be on from Senegal. I came out and greeted several of the sweaty, exhausted, dust-covered people and made introductions. Meeting the guide, I was told that they would be arranging a trip to the Chimpanzee Sanctuary that afternoon and to meet in reception at 3pm. 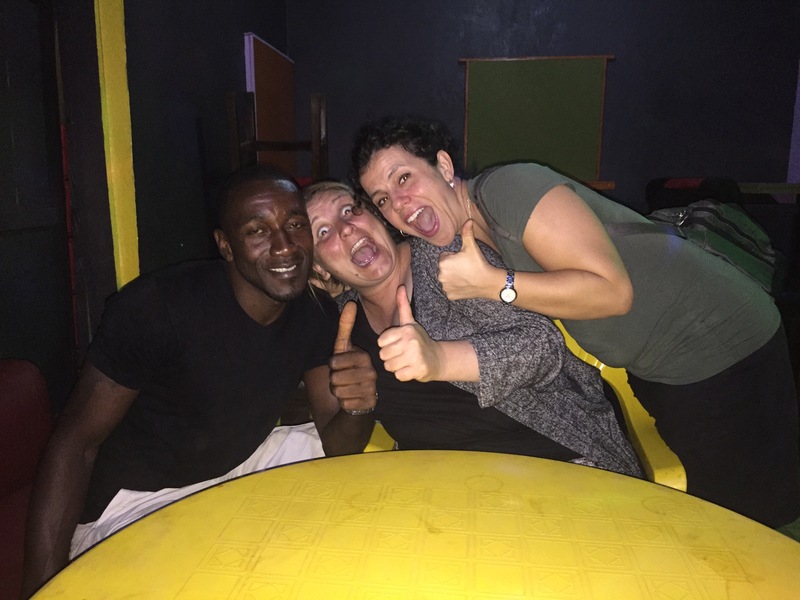 I was happy to have a plan for my first full day in Sierra Leone – especially since the first few days in a foreign continent are always an adjustment. Sierra Leone had a different plan in mind for me. I went for a walk after eating my very late breakfast to get accustomed to the surroundings and hopefully to find Lumley beach – the characteristic stretch of white sand that is lined with bars and restaurants in this vibrant capital city. I immediately “remembered” what Africa can and has since been like on this trip (I am writing this post from Guinea on Day 12 of the trip) – hot, dusty, noisy, with people everywhere greeting you, trying to sell things to you, traffic everywhere and people busily going about their days in close proximity to each other, carrying babies on their back and large buckets of grain and banana on their heads. The beach had beautiful white sand and was lined with palm trees. 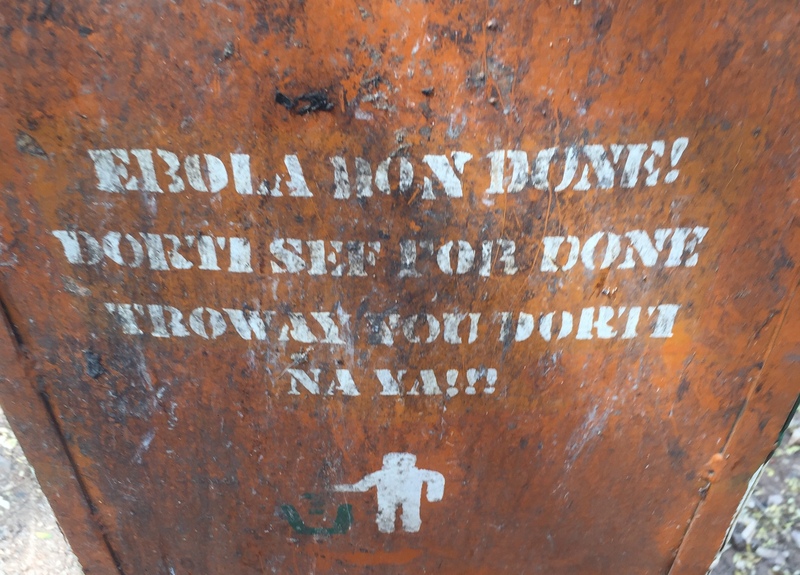 The potential for tourism in Sierra Leone could immediately be felt, but unfortunately, it is still not fully realized because there is trash everywhere (that and many anti-tourism policies such as no “visa on arrival”). Cans, bottles, plastic bags, odd sandals, plastic and metallic discarded objects were strewn up and down the beach creating a safety as well as an aesthetic hazard. It is truly one of the more lamentable facts about West Africans thus far – over and over again you see people just dropping trash on the ground and large piles of trash are seen on streets and intersections and in streams and rivers everywhere. A total reversal of this behavior is necessary if the country is ever to rise up and develop its economy through tourism. Then again, I mustn’t forget that it wasn’t that long ago that discarding trash was the status quo back in the States too. It take education for such a national shift of mindset. I got back to Raza by 10 to 3 and discovered that the group had left in a taxi 5 minutes earlier. I felt a wave of disappointment and tried to communicate with the front desk to try and ascertain how much another taxi would cost me if I was to go on my own. At that moment, another passenger called Kelly, from Australia, came out and asked if she might use the taxi that the front desk had called for me to haggle with over a price to drive me to the sanctuary. She informed me that she was planning on going to Tacugama the next day and that she was on her way to the Guinean Embassy to pick up her emergency one-day visa. I asked if I might join her and we hopped in and set off. 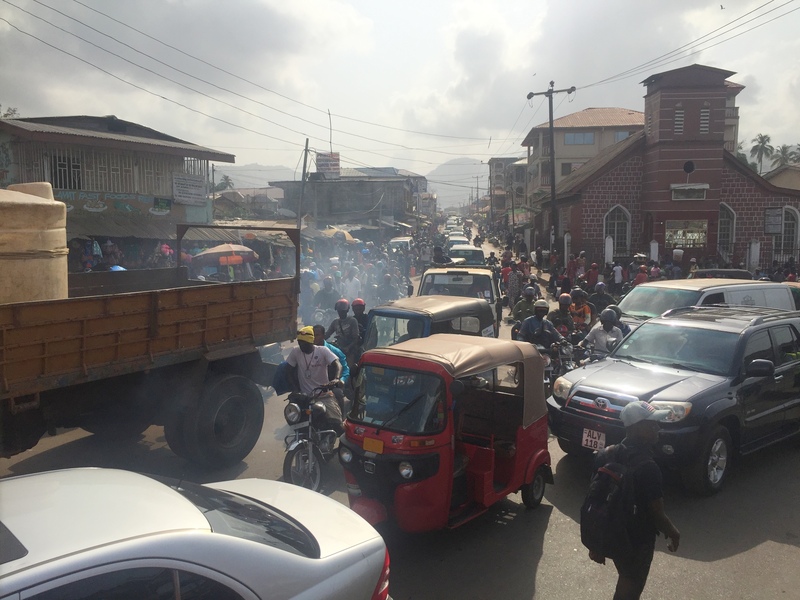 The traffic insanity that is cities in West Africa took on a new color from the vantage of a car. Nobody paid attention to traffic signs/signals and Kelly kept trying to help our driver understand where she wanted to go and that since she’d already been to the Guinean Embassy three times in the last twenty-four hours, attempted to direct him in English. The people of Freetown speak Krio – which is a form of pigeon English. 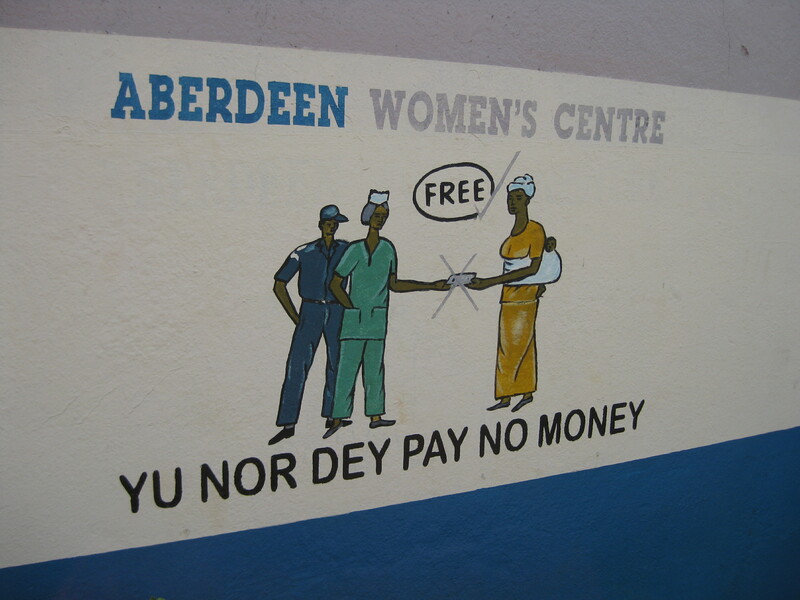 “Yu Nor Dey Pay No Money” translates to “You don’t have to pay any money” – just so you get the idea. Finally getting to the “embassy” which actually is a non-descript ran-down white shack/building with an office that is bare except for a bench for sitting/waiting, a fan, and a desk with a computer on it and official looking papers – we ended up chatting in French with one of the “guards” while waiting for Kelly’s passport to be ready. After about two hours in the heat, Kelly got her visa and we headed back to Aberdeen and Lumley beach in search of a cold beer to celebrate. We found a lovely air-conditioned bar called “Eddie’s” and ordered two local “Star” beers while listening to the Game of Thrones soundtrack being played alongside a screening of La La Land on a giant screen on the back wall. So strange! Outside, waiting to use the bathroom, I was greeted by a very friendly guy who introduced himself as Charlie. I immediately noticed that he spoke English with an American accent and found that he had worked for the DOD in Houston and Iraq for several five-month long contracts and as such, he had spent enough time around other American soldiers and contract workers for his English to sound like he came from the States. We chatted for a few minutes and since he was finishing up with work, I invited him to join Kelly and I for a drink. 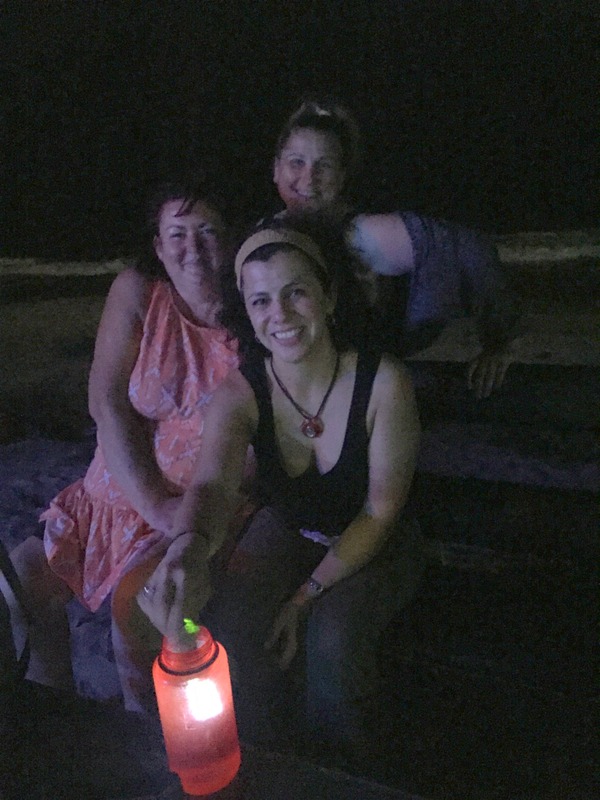 Kelly, Charlie and I happily passed a solid hour in conversation and I was immediately transported back to the reasons why I love traveling solo so much – connecting with others is so easy, spontaneous, and organic. Charlie talked to us about what life is like in Freetown, about the civil war and what it was like to live there two years ago during the Ebola outbreak. He explained how scary it was, seeing the specially colored “vans” that would inevitably be transporting dead bodies to a safe burial location. He told us about the strange social impact not touching anyone or anything while in public had on the people. As always, hearing about such events from the perspective of a local was vastly more impactful than hearing about it through the media in the US. We invited our new friend to dinner next door where the Dragoman group were congregated to have their “goodbye” dinner. The food in Sierra Leone was surprisingly good and flavorful, even spicy. I ordered grilled snapper with rice and salad. Fish and chicken with rice or chips is the basic options we have chosen between most nights here, and while the fish is often full of bones – it has been a big contrast to the often bland foods of East Africa. After dinner, Kelly took a cab home with the group but since I was on US time – Charlie and I opted to head down the road in search of ice cream and real espresso coffee. It appeared to me that Freetown as a microcosm of Sierra Leonean society had the typical mix of a tiny minority of upper class social climbers with lots of disposable income and then the very poor who live in slums or very basic housing. The bars and cafes of Lumley beach definitely catered to the former group because I found myself in a neighborhood that could increasingly be mistaken for a beach town in Marseille. I told Charlie that Kelly and I were planning to visit the Chimp sanctuary the next day and he proposed that he join us. I was happy to have made a local friend so quickly. The next morning, we had our orientation meeting for the start of the official next leg of the Dragoman trip. Most unusually, the entire group of 20 passengers and 2 crew were traveling solo and were single, aged between 35 and 75, and were very evenly mixed between genders – 10 female and 12 male. It was immediately obvious that I wasn’t going to feel unusual or left out – this was a group of very well-traveled independent-minded “misfits” – and that has proven to be very true. I have been very grateful for the eclectic and interesting mix of characters and culture that the group consists of and it is in the starkest of contrasts to my first overland trip of 2015. We spent the rest of the morning sharing taxis to visit the famous city center “Cottonwood Tree” and the National Museum. On the way we passed many many slum settlements simply jam packed with people and an equal presence of trash. Everywhere, children ran around with dirty snot-ridden faces in tattered clothes, barefoot and being dragged by a parent. 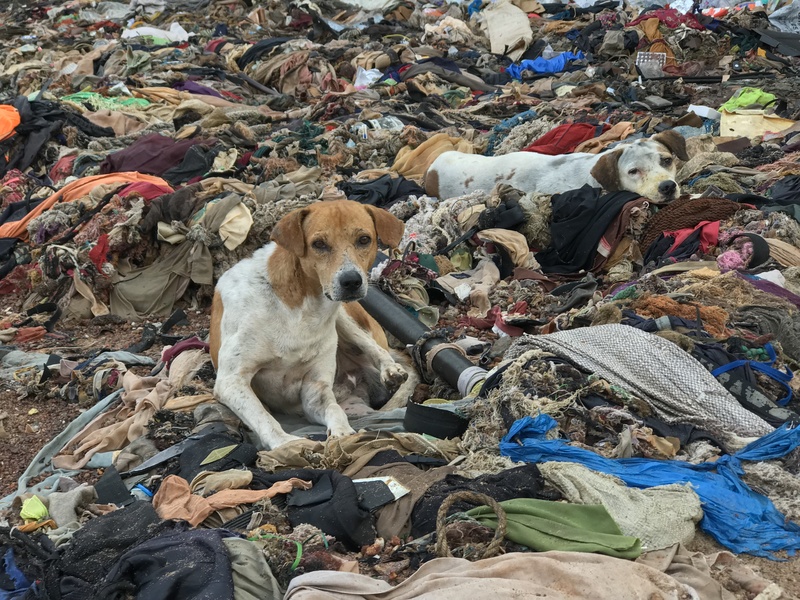 People washed themselves and their clothes in filthy pools of water strewn with garbage. As always, it was a wake-up call to the privilege we each have to live as we do in the West. The museum was good if a bit out of date, but the exhibits addressing the history of slavery and juxtaposing it to the many modern forms of slavery was very worthwhile. 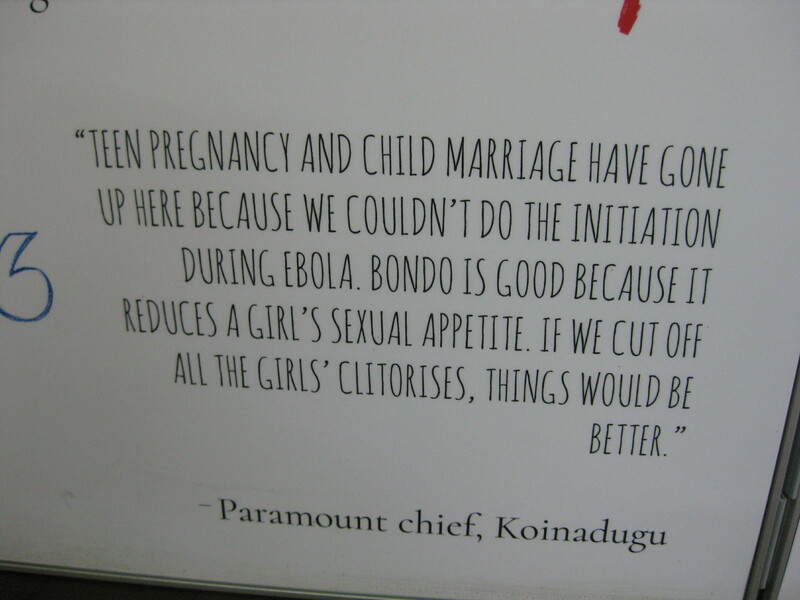 There were also exhibits addressing the issue of Female Genital Mutilation in Sierra Leone – a very common practice that results in over 80% of women having no external genitalia whatsoever. While it is a normal practice in their culture, I still can’t help but feel revulsion for the disgusting patriarchal madness that condones such a hideous crime against the body of a woman. Moreover, the number of people in favor of continuing this violent crime against females is staggering and difficult for a foreigner to comprehend, let alone be tolerant of. At 3pm, while four of us were haggling to arrange a taxi to go to the sanctuary – Charlie showed up in his Mercedes SUV and offered to drive us there and back himself! It was a bit of a tight squeeze, but we were ever so grateful and ended up having the most raucous and laughter-filled afternoon and evening together. A truly magical day that I will not soon forget. On the way there, Charlie pointed out an area that suffered a horrendous landslide back in September and literally buried thousands of unsuspecting residents in their homes alive as an entire mountainside gave way after months of torrential rains. 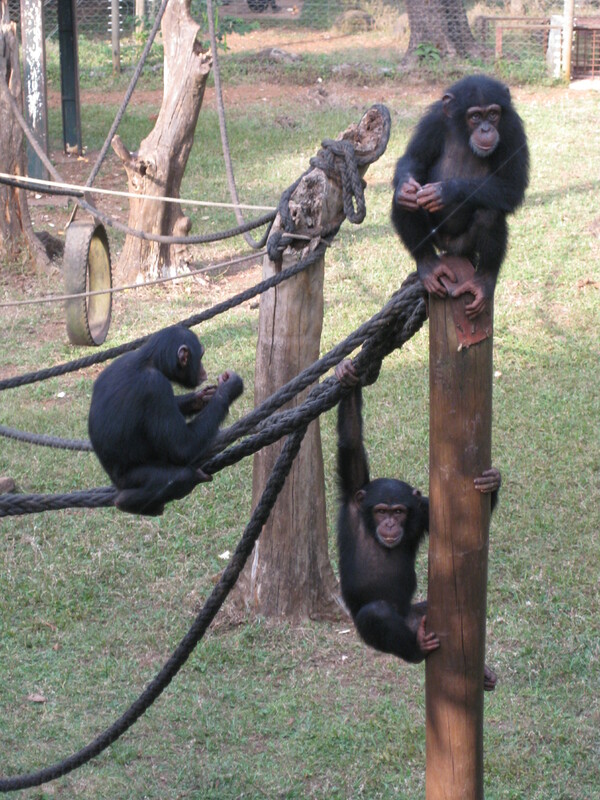 The sanctuary itself helps to rehabilitate chimps who’ve been illegally taken as pets in the hopes that they can be re-released back into the wild. It is set in a thankfully cool setting in the highlands surrounding Freetown and we had a lovely time observing the chimps – especially the sub adults who linked arms with their best friends while walking around their large enclosure. We experienced horrendous rush hour traffic on the return and sat at a near standstill for over two hours. Nauseous, hot and very hungry – we were super grateful to find a bbq stand directly on Lumley beach where we ordered chicken with fried rice and cold beer at the best table in the place – a wooden table and chairs literally only ten feet away from where the water was lapping away at the sand. A thoroughly enjoyable day was had by all. 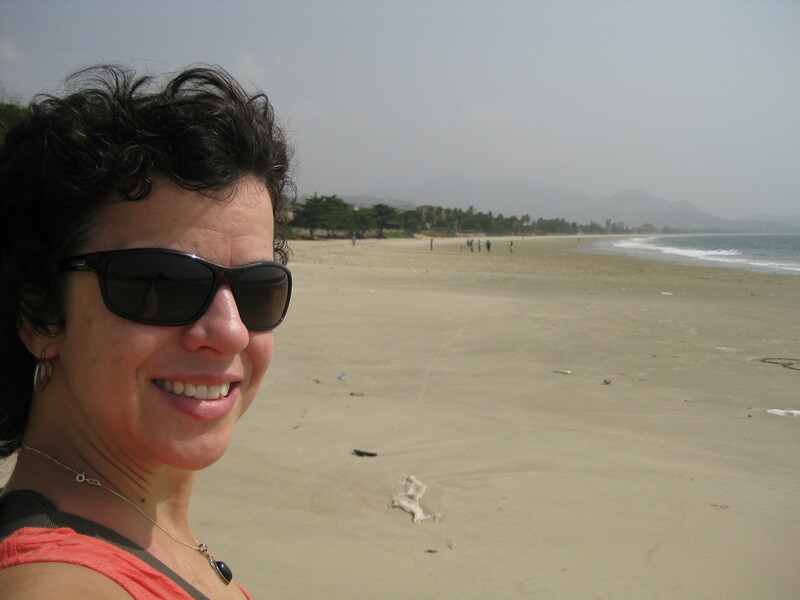 The following day we followed our bliss for three nights on the beaches of the Sierra Leonean Peninsula. 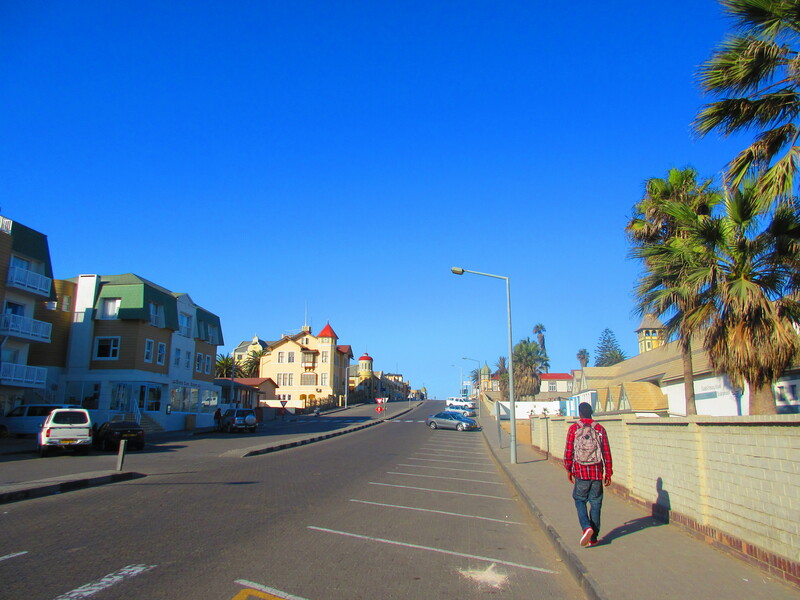 Swakopmund just looks funny. It isn’t congruent with any sort of mental image one has of a city in Africa. Granted, that initial image is often quite misdirected to start with, given the shamefully limited amount of exposure we Americans get to African news/culture/history. It’s German influence was clearly visible; from its architecture and the manicured design of its streets to its cold meats at breakfast. The language of the predominantly white city population, however, was Afrikaans and the people were fiercely Namibian (which they made very clear if and when it came up in conversation). The restaurants were overpriced compared to other stops we’d made, the meals costing roughly what they would back home. It was nice, however, to order some really well prepared fruit smoothies, western wraps, and grilled steak. There was a distinctly European feel to everything in that city and one could easily forget they were on the African continent. That is, until you ventured even a few blocks outside the city. Like major metropolitan areas in South Africa (and South Africa governed Namibia until it gained independence in 1964) – Swakopmund is surrounded by sprawling townships, the raw materials utilized in the their construction getting progressively more temporary and non-robust the further out of the city you went, like the outer layers of an onion. 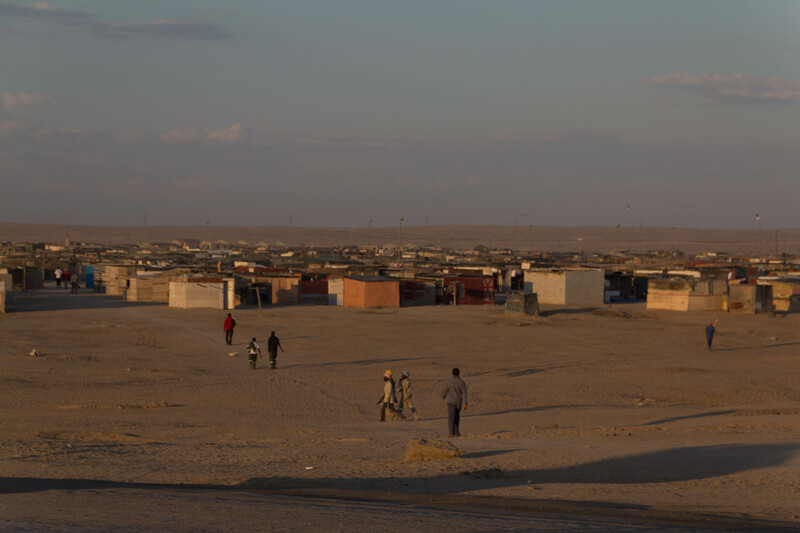 Swakopmund’s main industry is mining – and people come from all over the country with the promise of better wages in the urban areas. 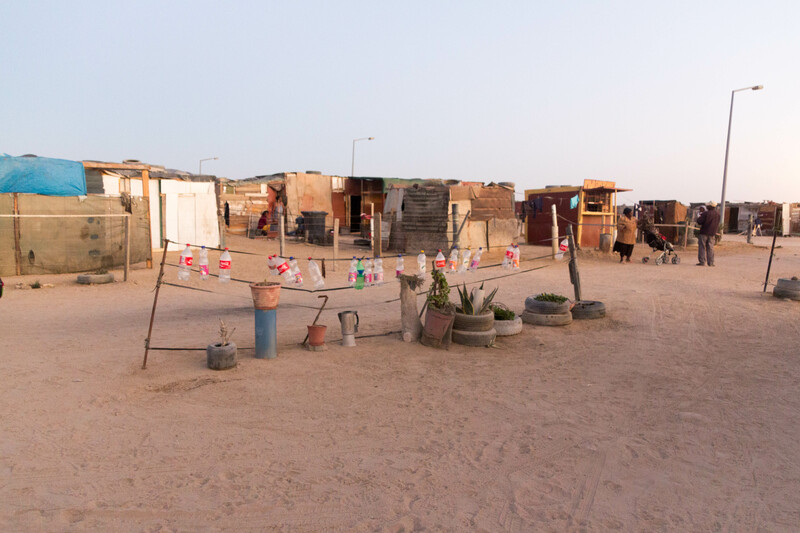 However depressing, 90% of Swakopmund’s population live in the townships – and they are all people of color, known in Namibia as Black and colored (anyone with mixed blood/race), yet they earn/retain only 10% of its wealth. That is the reality here. Ethnically, Namibia’s gene pool is about as diverse as you can find here – with the main tribes living here being San, Tamara (who like the Xhosa in South Africa, have a language based around 5 clicks) Otambo, and Herero – though the Herero’s numbers are vastly diminished due to their almost being exterminated by the Germans after colonization in a massive genocide that I’d never even heard of. 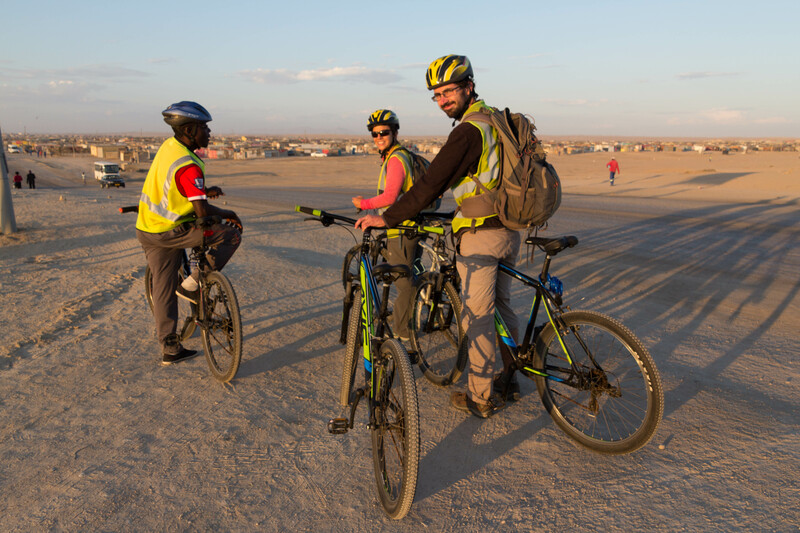 Of course most of the group were busy doing the adrenaline activities Swakopmund is touristically famous for: Skydiving, quad biking, sand boarding and the like. I didn’t begrudge anyone enjoying these activities, of course, I just decided that I wanted to have a recuperative break here, and try to get to know the local communities a little better. So, together with the Frenchies Sandrine and Benoit, I elected to go on a Township tour that could be done on bicycle. It was a wonderful experience. First of all, it was just great getting out on a bike for the first time and getting some needed exercise. Our guide, Costa, was wonderful, generous, and enthusiastic about showing us the township which was also his home. We made several stops enroute – to try biltong being sold by women on the side of the road (this is a type of dried meat like jerky but way better tasting) and next to a Herrero woman’s home. She talked about what life was like here in the townships when the whites basically ousted all colored/black people to the outskirts of town – telling them that they would be provided better housing even though the purpose of the move was to establish segregation. She said her family were given a much better concrete house compared to the converted rail carriage that they had been living in, so they were happy. I learned that Herreros are essentially descendants of the Himba people. The Himba were employed as servants and in general labor when the Germans first arrived here. However, the German wives were none too pleased that their husbands were in the constant company of women who walked about without shame of their nakedness. When these women started having babies that were far more light skinned than their husband’s genes would naturally procure, the wives insisted that the Himba employees clothe themselves modestly. The Herrero chose very distinct clothing to ensure that their heritage would remain very distinctive, with giant headdresses that appeared like the bulls of a horn and would make the people look taller than they were. Women of the Herrero were expected to marry young, and their husband would be chosen for them by their father’s brother. Of course, as in many African cultures, men could have multiple wives, but it was interesting to hear this woman talk about how it was the first wife’s job to choose wife number two and three, making sure that they weren’t as pretty as wife number one. For the lady whom we met, she thankfully said she’d raised seven children while being her husband’s only wife. Enquiries as to why he hadn’t married more women were politely smiled at but not answered. 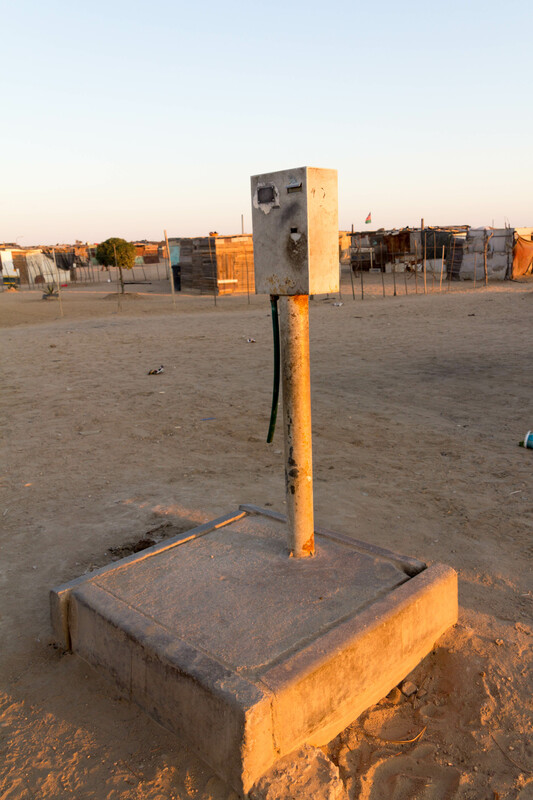 Our guide explained how you could qualify for help with certain types of housing with the Namibian government. However, he also said that it wasn’t enough for you to have low wages; they had to be low enough to qualify, but high enough to afford the high interest rates on the mortgage. He said he didn’t earn anywhere near enough to qualify, and was stuck sharing a small two bedroom unit with about 6 of his friends. 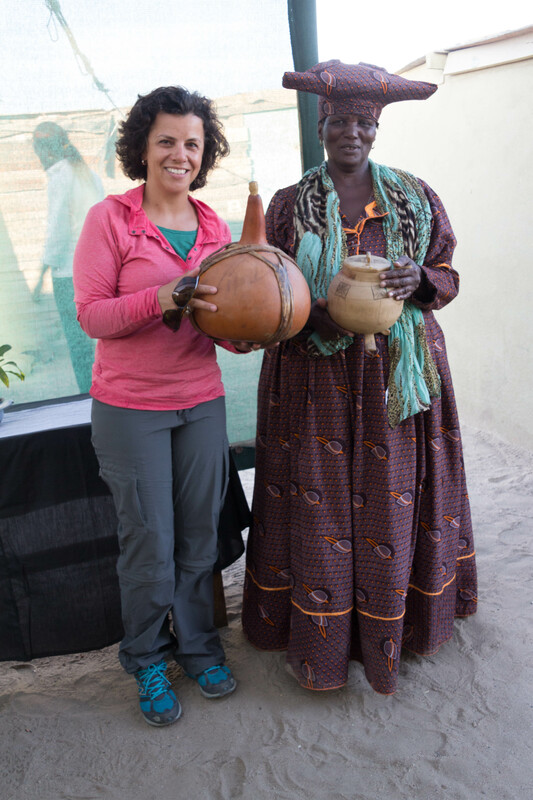 As the sun was setting we also visited a herbalist who was Tamara and kindly also gave us a great demonstration of the five clicks of her language while talking us through the various herbs and remedies that provided her livelihood. It was so crazy to me that these people all lived together, all with such different backgrounds, cultures, each speaking their own native tongue but communicating with the majority either in English or Afrikaans. We finished our tour with some streetside bbq which was delicious and then retired to a local bar where we were serenaded by an incredible 8 member a capella group who astonished me with their beautiful faces and harmonies. 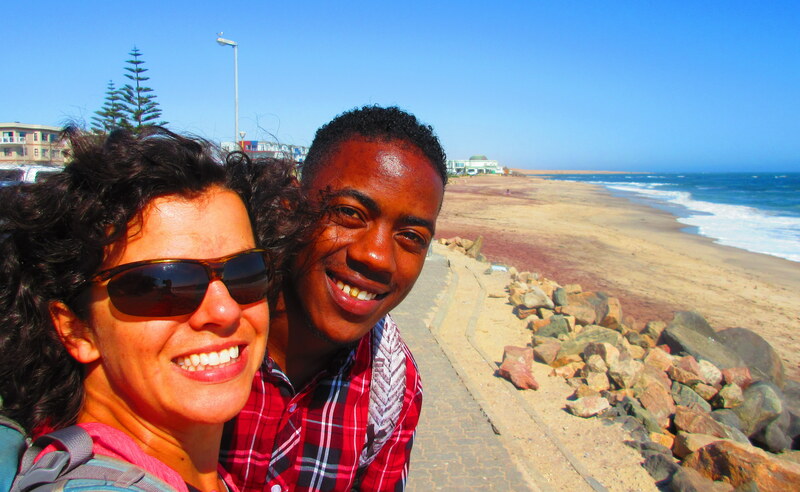 This was definitely one of the highlights of Swakopmund for me. The other came quite strangely, again, from my computer dilemnas. Attempting to find a cheap replacement laptop as well as a way to fix my camera, I met a woman called Marshall who worked at Royal Computers about 15 minutes walk from our hostel. After talking to her several times about the various models she had for sale, and discovering that she could very kindly restore the over 2000 photos that had been accidentally formatted from my SD card at a dumb internet café, she offered to drive me around the city in search of a good laptop. I couldn’t believe how kind she was, and after four or five stops, I found a decent Lenovo for just over $500 that would serve me well for the remainder of my trip, if not in life after. 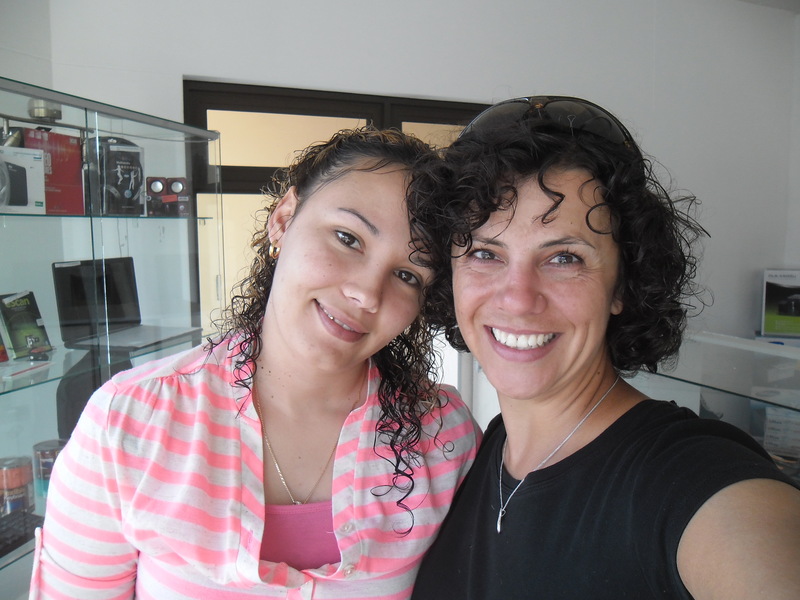 She introduced me to her husband and son, and her co-worker Chri-Lei, and the small group of us hang out after the shop closed on a Saturday, chatting merrily about life and what my travels had been like thus far. I invited everyone out to lunch, but unfortunately the family had an appointment to go to. I sang Marshall a song after she requested one and choosing a Janis Joplin number, she welled up with tears as she reached to hug me goodbye when I finished. I was very moved. Walking towards the beach in search of a deserved beer, Chris-Lei joined me and he and I ended up having several rounds of drinks over fish and chips at a great little beachside restaurant for the rest of the day. We talked about philosophy, religion, race, life in America, life for him in Namibia; there wasn’t a topic that was off the table, and it was so completely refreshing to feel such a great connection to another person. To feel that I mattered again, to someone if only for a few hours. Returning to my hostel first to take care of some errands, we arranged to meet up later and catch a movie at the local cinema. Despite being a horrendous American Avengers movie, the cultural experience of going to a film here in Namibia made it well worthwhile. Popcorn was served only half-full – the people applying all manner of different flavored toppings before handing it back and having it filled completely. The movie theatre was packed small with people of every shade of color, all talking in multiple languages and often during the movie that had terrible sound quality. I still enjoyed myself thoroughly, especially in my new found friendship with Chris-Lei who later walked me back to my hostel. It had been a lovely and refreshing change of pace to stay here a while. But it was time to head back out now into the southern desert.